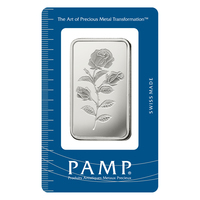 The .999 fine Silver bar depicting Lady Fortuna is one of the most prestigious and most popular Silver bars available on the market. 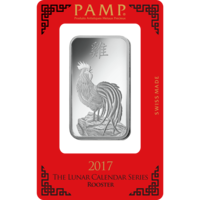 Lady Fortuna is the daughter of the Greek God Jupiter, and she herself is the Goddess of prosperity, Fortuna and good wealth. 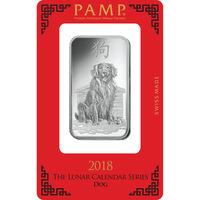 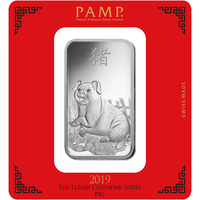 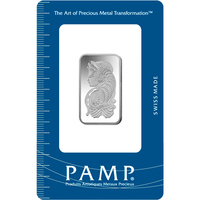 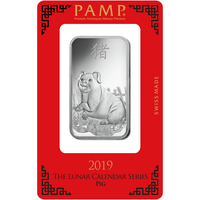 On the Silver Bar, she is depicted veiled, and she is always represented with her mythical attributes with her horn of plenty on her side, and its riches falling out of it onto her bare hands. 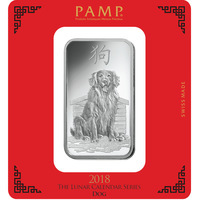 On the reverse side of the coin, important information is displayed, for instance, the weight of the Silver Bar, the silver purity and the date of production. 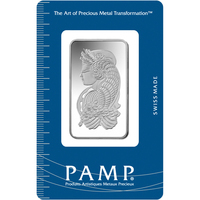 Fortuna was the first artistic design to decorate a gold bar and any other precious metal bar in the world. 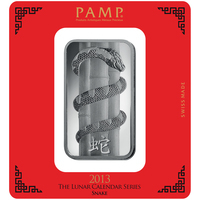 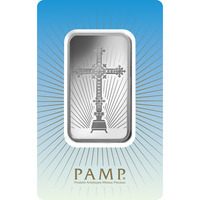 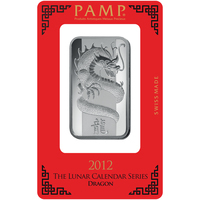 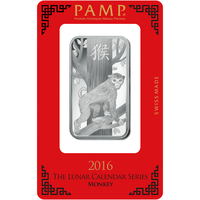 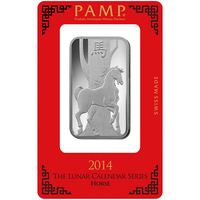 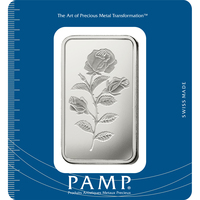 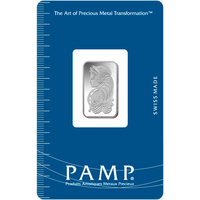 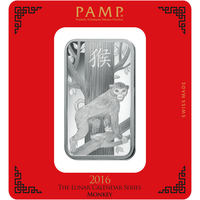 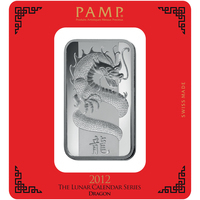 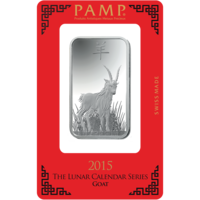 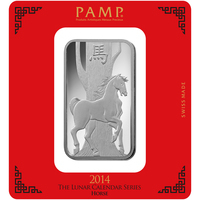 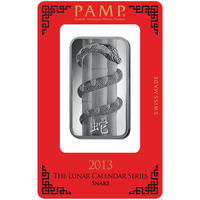 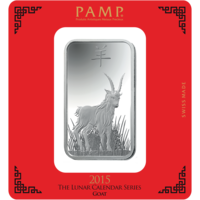 PAMP is very proud to have been “the very first to embellish its bars with decorative motifs”. 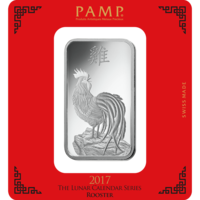 Adding Lady Fortuna to your precious metal portfolio will act as a good investment, as well as a beautiful addition to any collection.